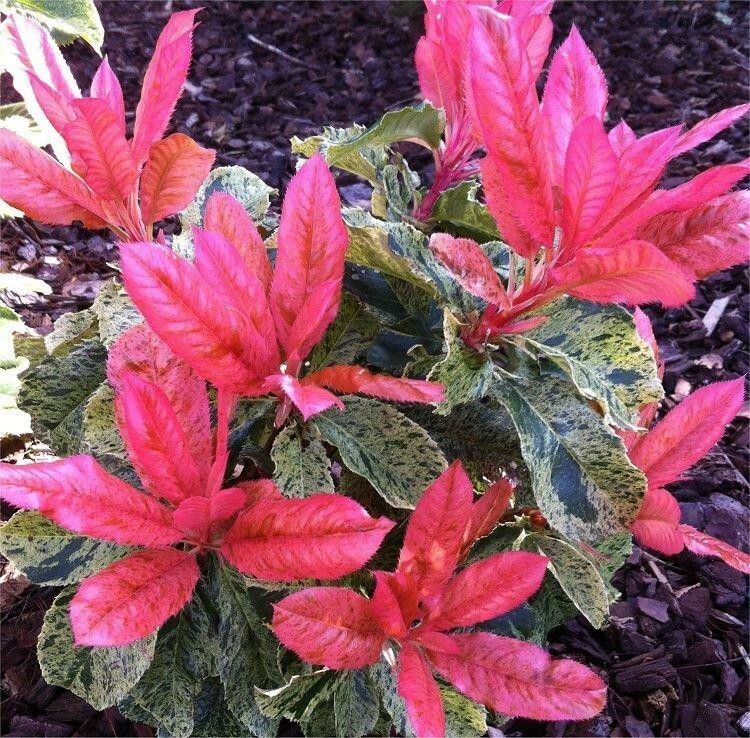 Photinia Pink Crispy is a surprising new variety with superb marbled foliage splashed with light and dark green. Just released on to the market and already a gold medal winning variety in the Netherlands where it was first unveiled in the last week of August, Gardening Express are proud to add this New & Exclusive variety to our range, being the only online specialists in the UK with this amazing new variety. 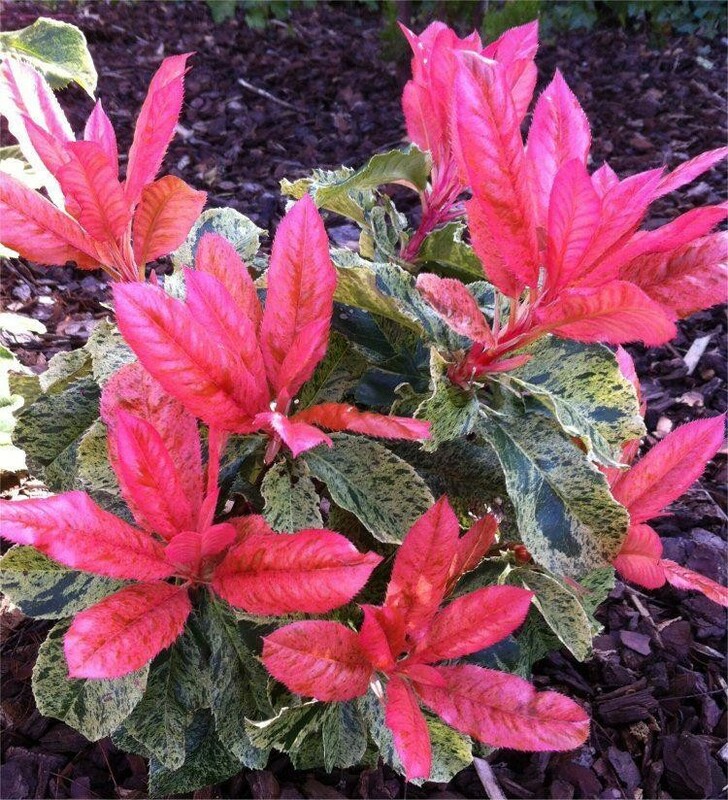 Beneath the foliage, vivid red stems stand out, and to top things off, the new shoots of Photinia Pink Crispy are a stunning bright pink colour. 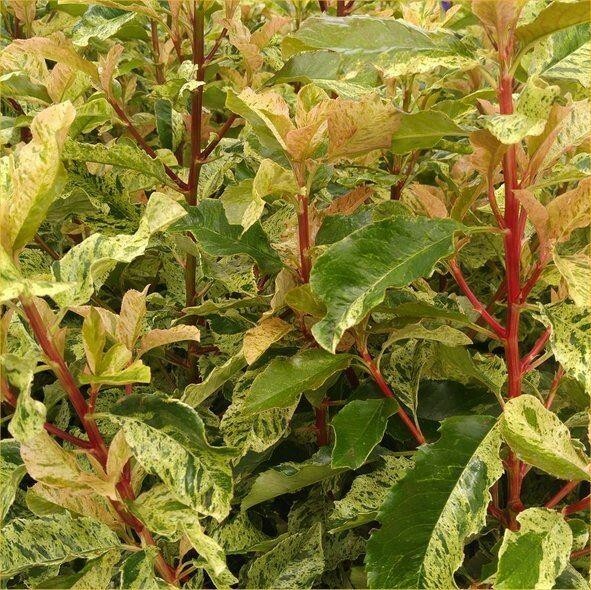 Forming a bushy, upright habit reaching around 175cms tall with a width of 100cms, this Photinia loves a well drained position in fertile soil in full sun to partial shade. 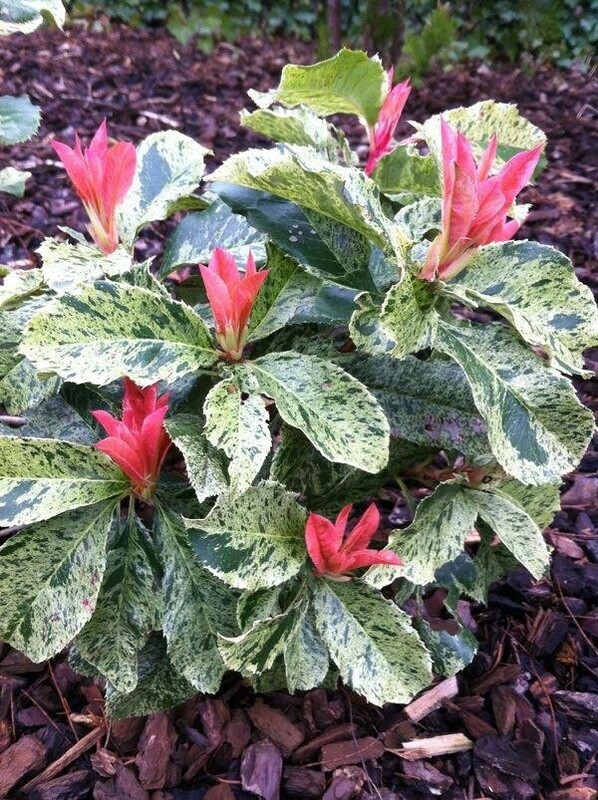 Pink Crispy is also very hardy, disease tolerant and maintenance free. 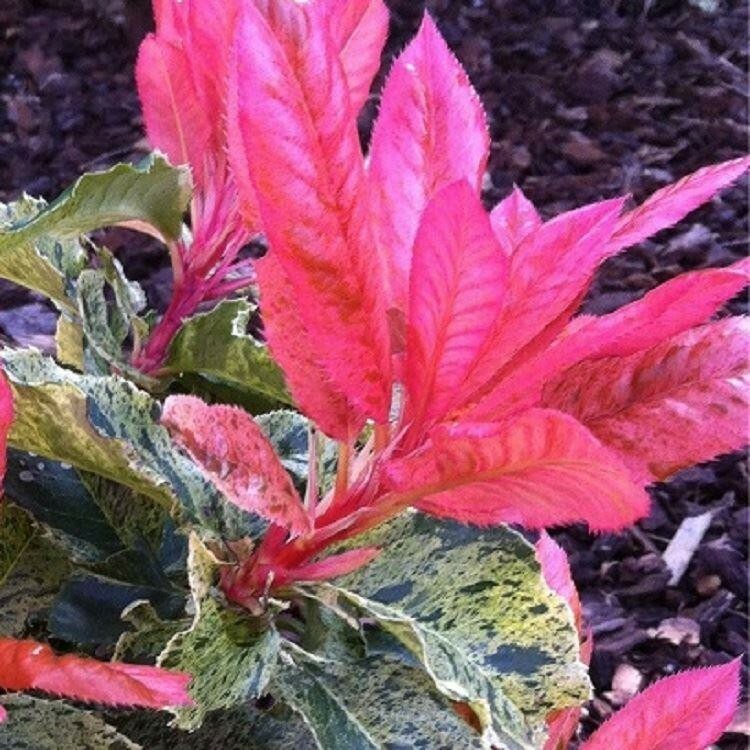 Try Pink Crispy as a unique addition to shrubs borders, or in mixed containers, it can even be planted en-masse for landscaping purposes, used for an unusual hedge or simply as a stunning solitary specimen. 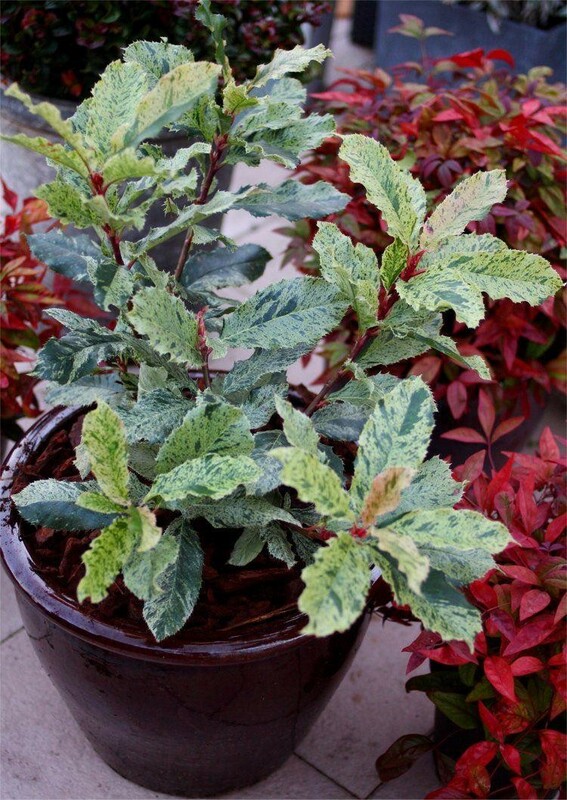 Supplied as LARGE strong bushy plants in approx. 7.5 litre containers.